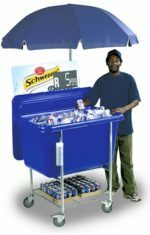 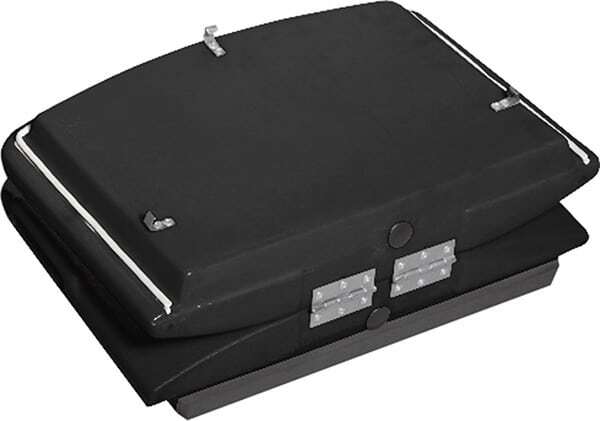 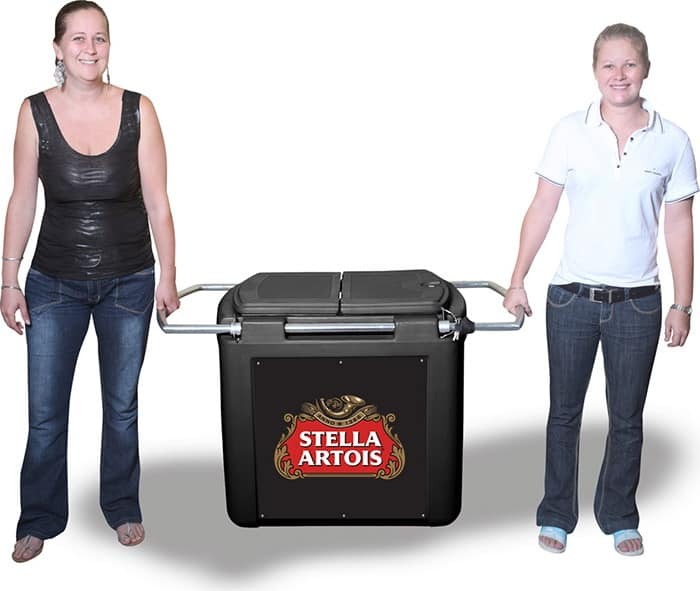 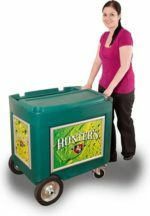 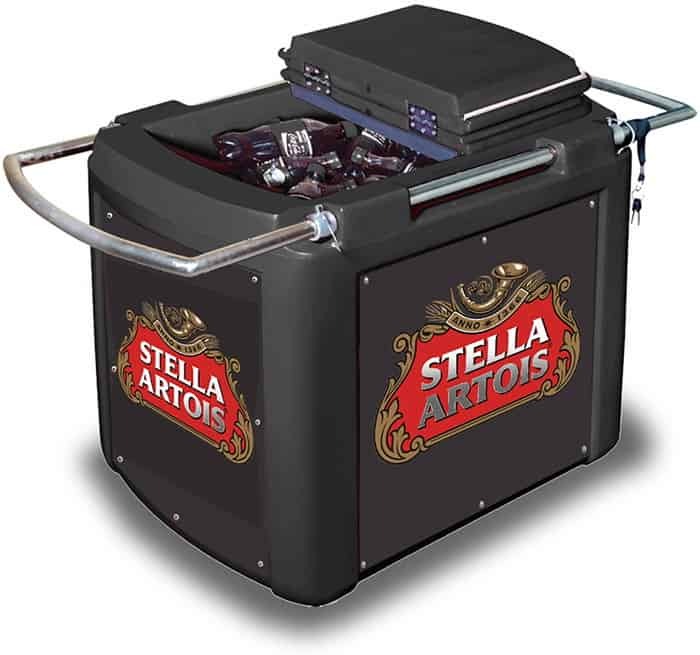 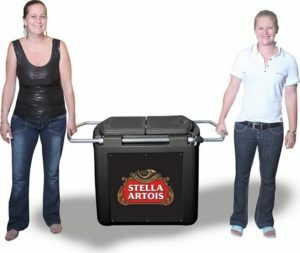 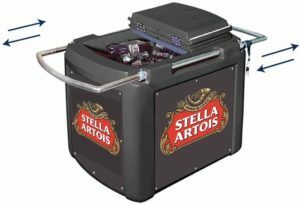 Our 90 Litre Cooler Box has a retractable handle for portability. 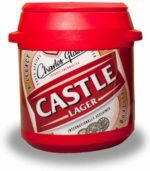 The removable lid has a rubber gasket, ensuring that any beverage remains ice cold! 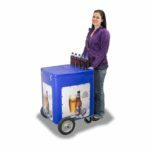 Four case unit for optimum in-store sales.